Thomas Cooper Gotch was born in the Mission House, Kettering, in 1854. He was the fourth son of Thomas Henry Gotch. Thomas Cooper Gotch spent his early years in schooling in London and later at KetteringGrammar School. After leaving school he spent three years working in the family boot and shoe business. This, however, was not a natural career option for Thomas Gotch and in 1876 he was supported by his family in following an artistic career. Gotch spent much of his painting career based in Newlyn in Cornwall. He was one of an early group of artists to base themselves in the town. This was the beginnings of an artists' colony which gave rise to a style of painting known as the Newlyn School. Thomas Cooper Gotch did spend some years painting landscapes and narrative scenes in the Newlyn style, however, eventually his painting interests moved him in a different direction when he truly mastered portraiture in a 'symbolist' style. Of Gotch's portraiture, women and children predominate with the theme of motherhood and the ages of woman being common. In addition to his love of Newlyn, Thomas Gotch also enjoyed travelling. He lived and studied in France and Austria on multiple occasions and is also known to have travelled to Denmark, Italy, South Africa and Australia. 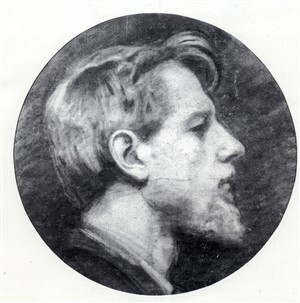 Although Thomas Gotch is not widely recognised in international art histories, his position and friendships in Newlyn, and the mastery of his artwork, provide him some level of recognition in British painting history and his works make valuable contributions to collections around the world. He has work in key collections in Australia, New Zealand, South Africa and the United Kingdom. The Alfred East Art Gallery is fortunate to own 42 of his works. Thomas Gotch was a recognised success during his lifetime and enjoyed considerable public acclaim. He was a regular exhibitor at London's RoyalAcademy and contributed to numerous other national and international exhibitions. His works are still regularly exhibited and are often the subject of academic studies.